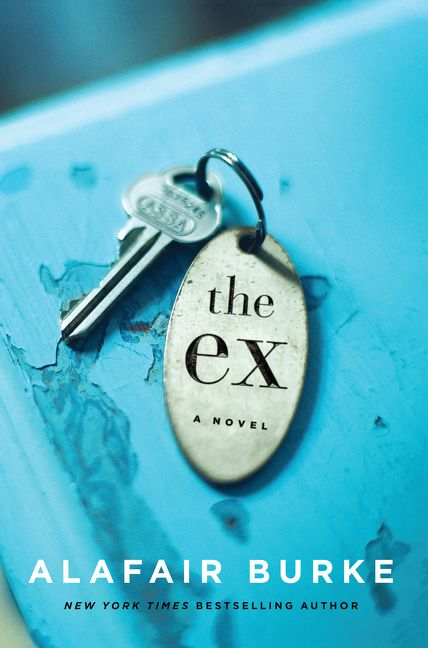 The plot of THE EX has one of New York City’s best criminal defense lawyers, Olivia Randall, representing her ex- fiancé, Jack Harris. He has been arrested for a triple homicide that includes a victim connected to his wife’s murder three years earlier. Burke takes the reader on a journey with Randall as she goes from vehemently believing his innocence to questioning if he is indeed guilty. Part of the reason she agrees to represent Jack is to absolve herself of the guilt, feeling somewhat responsible for his state of mind. Her past regrets are based on the way she chose to end the relationship twenty years ago when she broke his heart in an unimaginable way. Elise Cooper: Does your professional background help in writing these stories? Alafair Burke: As a former prosecutor and now a professor of criminal law and procedure I wanted to show how the law allows them to do certain things to get a conviction, but prosecutors also have a lot of responsibility. I did not set out to write the book and make the point that the legal system favors the prosecution. I think prosecutors do have a lot of power in the legal justice system. Olivia certainly felt she did not have a level playing field. Hopefully readers see that the ADA Scott Temple is a good guy and just played the cards he had. EC: What did you want to explore with the Jack and Olivia relationship? AB: People who were in your past life, did you ever wonder about them? How did someone in Olivia’s former life turn out? She was never able to close the book with Jack. Then he suddenly appears in her life in a very shocking way. She remembers the relationship in a certain way, making herself to be the bad person. Feeling guilty about the way she ended it her memories are that she was bad and he was good. But as the book progresses you see not everything is black and white. EC: How would you define Jack? AB: Gullible and naïve, someone who gets under Olivia’s skin. He was a preppy nerd that Olivia initially took for granted. Because he was dealt some hard blows she ended up in a relationship with him, which started as a friendship. I can understand why Olivia did not want to be with him. Jack would not be my kind of guy. EC: You explore how technology is used for social interaction. Correct? AB: Yes. “The Room” is based on the “Gothamist” website that is New York centrist. I also explore “Catfishing” where someone pretends to be a certain person. My friend is single and does online dating. Someone sent him a message and asked him if he was the person she was conversing with online, because she wanted to meet him in person. She thinks it was my friend because she Googled the image sent to her. Some guy had basically used my friend’s picture to give himself a different identity. The prosecutor in me was worried about the anonymity of the Internet. I told my friend to be very careful, trust but verify times ten. EC: It was interesting how you made Jack’s profession a writer. Did you do it so he had plausible explanations? AB: When I have to choose a profession of a character I have to be aware of a reader’s pre-existing ideas of what they will be like. Something about certain jobs invokes a certain personality, such as a cop or accountant. By making Jack a writer there is a blank slate. People know his job is to make things up so they might wonder did he weave this whole story in case he got caught. Remember every book he wrote is a fictional account of something in his life. EC: Can you give a heads up about your next book and will it include some of the characters from the ex? AB: The next book has my series character, Ellie Hatcher, a NYPD homicide detective, going back to Kansas to deal with her father’s death. I can imagine the characters from this book turning up somewhere down the road but probably not in the next book. Ellie and some of the characters for this book share a common universe; they are in New York and work in the same office. In fact I made little references in my two latest books, such as some of the same judges.